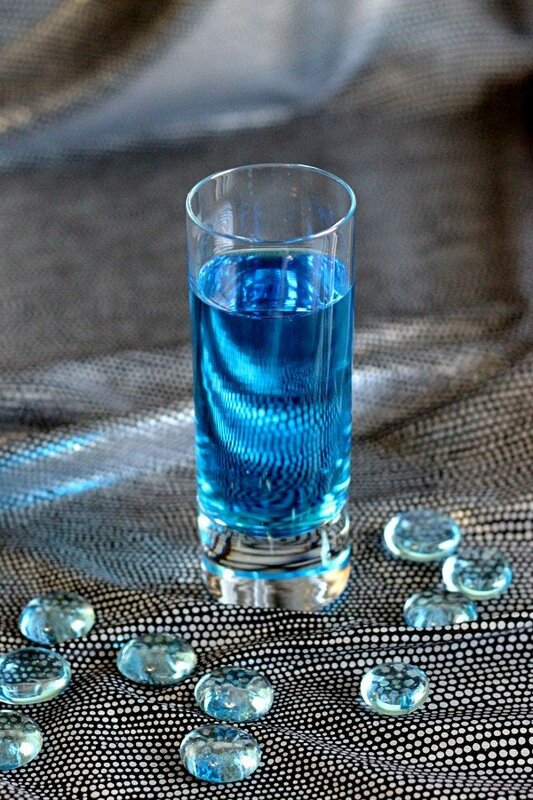 The Mage’s Fire can be blended on demand as a drink, but it’s designed to be mixed together in a vodka bottle and poured like a straight drink, served as shots. It gets its name from the spooky light blue color it turns, and somebody who’s watched a few too many fantasy movies. This drink is designed to get you drunk. If you use a smooth vodka, it goes down pretty easily, tastes like cinnamon and orange, and has nothing in it but alcohol. The best way to do this is with a half-full bottle of vodka. Add equal parts of the schnaps and curacao to it and mix. Chill overnight and pour it as shots. I have been told by friends who imbibe that aged Mages’s Fire makes for excellent fireballs… literal fireballs. I can’t remember if they were just throwing it at the campfire or doing fire-eating. 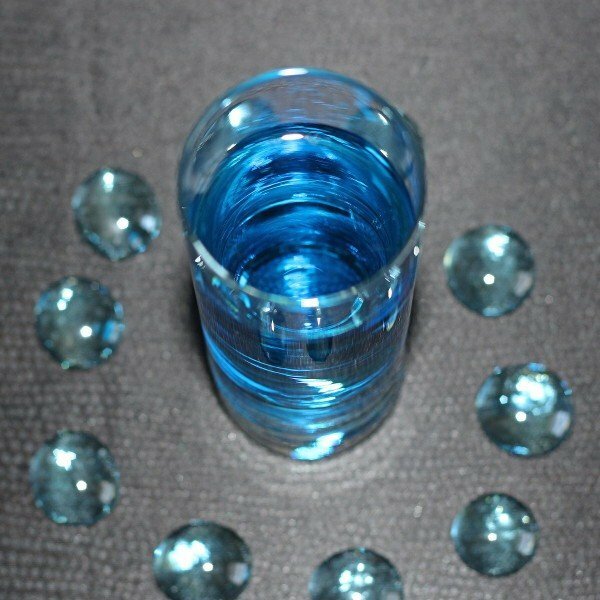 It does age, by the way, and with pink cinnamon schnapps you get the same optical properties as an alexandrite gem.